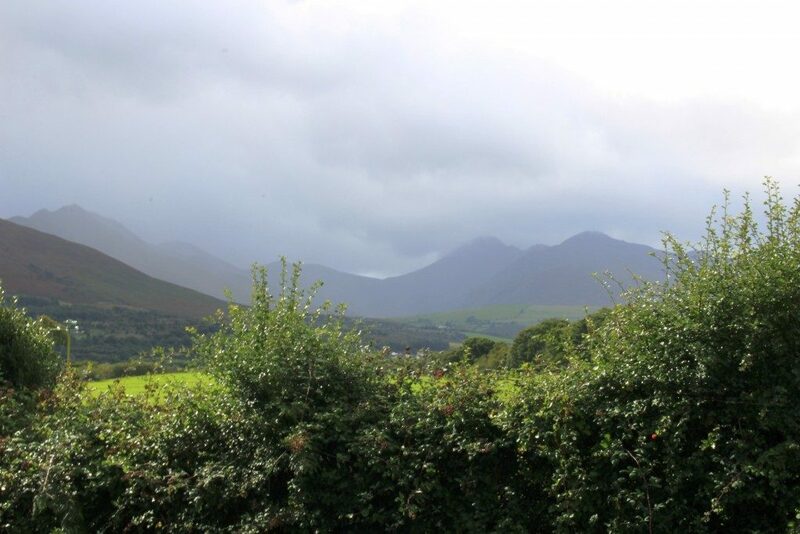 During a visit to Eire in September 2016, I spent some time in the Kerry mountains close to the village of Beaufort at the foot of the MacGillycuddy’s Reeks mountain range in Co. Kerry. 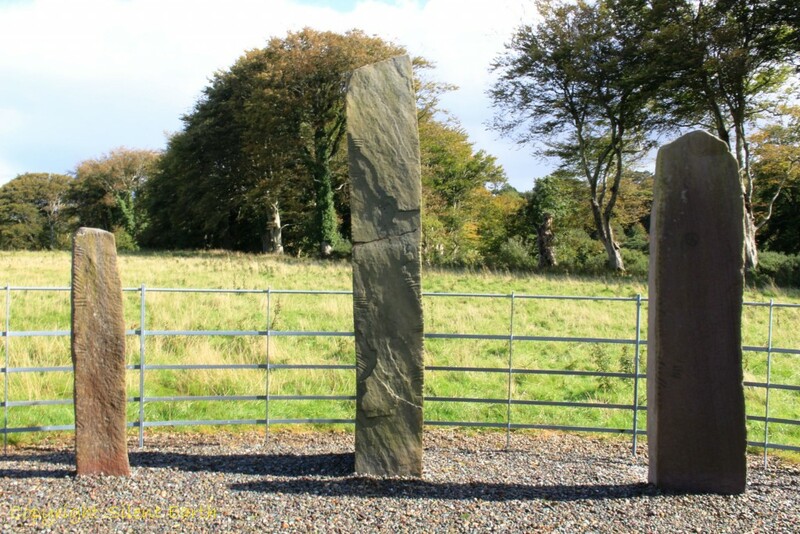 Shortly after arrival, I purchased a local ordnance survey map and, as the Dunloe ogham stones were marked as between Beaufort Village and the nearby Gap of Dunloe, I decided to pay a visit to the site. 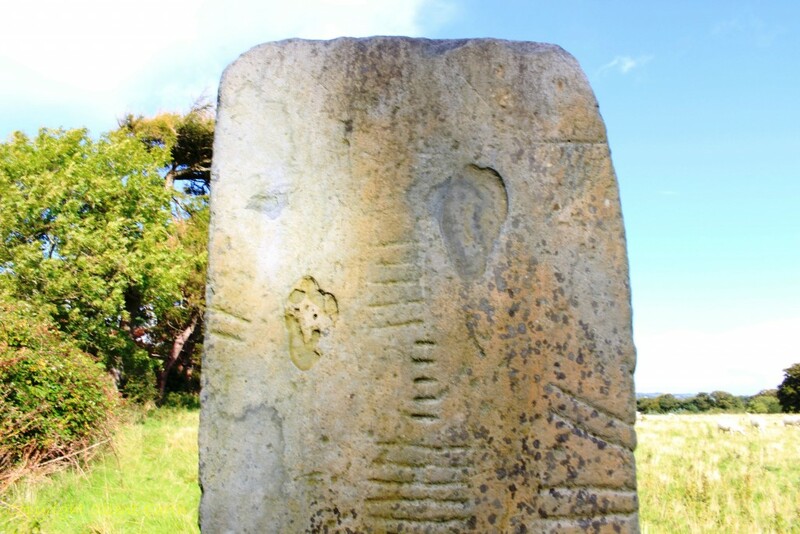 The inscriptions on the eight stones and their exact location are identified here by Megalithic Ireland. 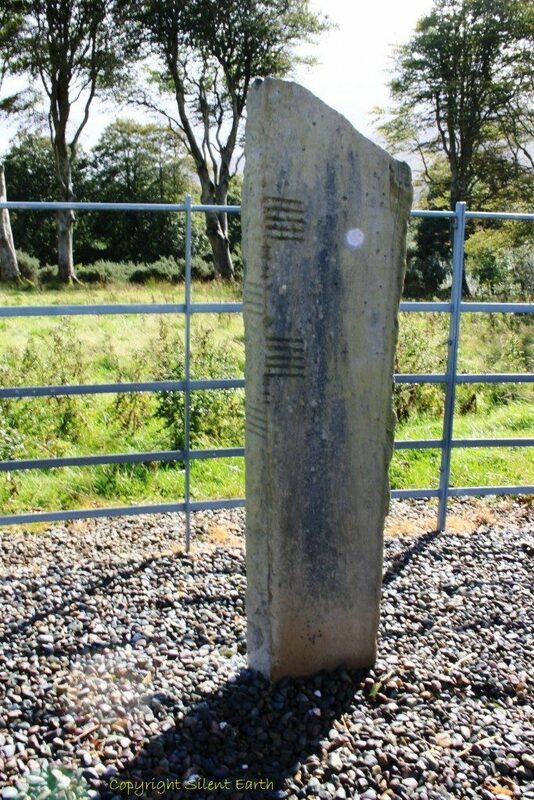 Ogham was a form of writing used around the time Christianity came to Ireland in the 5th century AD and consisted of lines and strokes, normally carved along the edge of a stone. 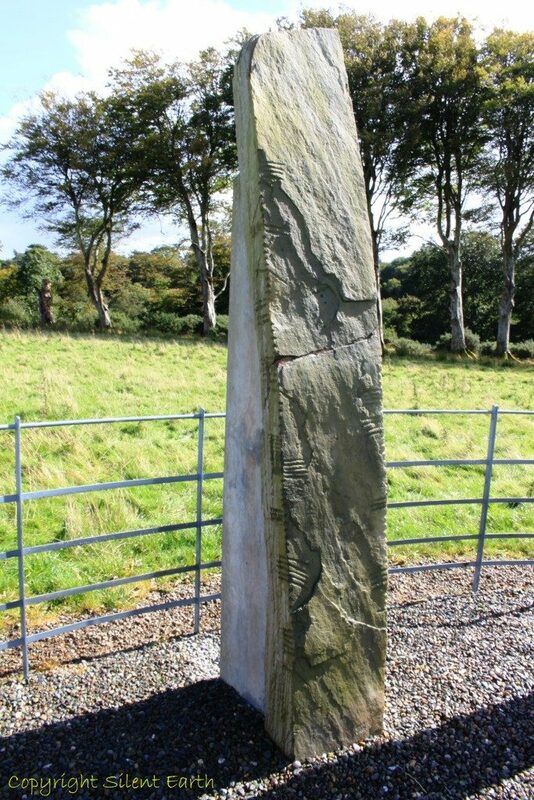 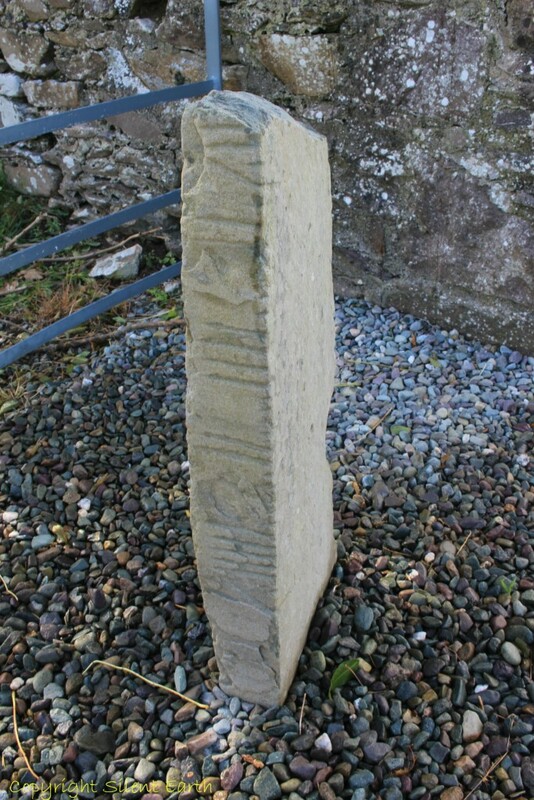 Stone number one (numbered from the left as you enter the enclosure) came from the church at Kilbonane. 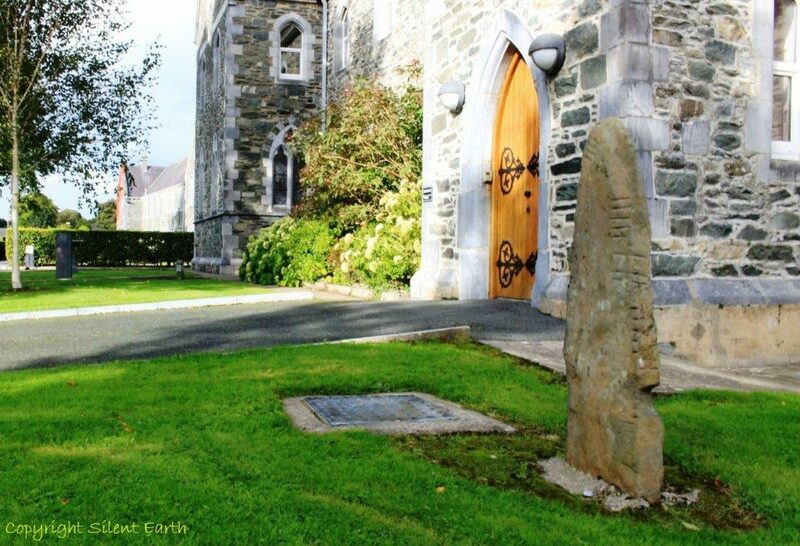 The others were found at nearby Coolmagort where they had been reused as roof stones for a souterrain several centuries after they were carved. 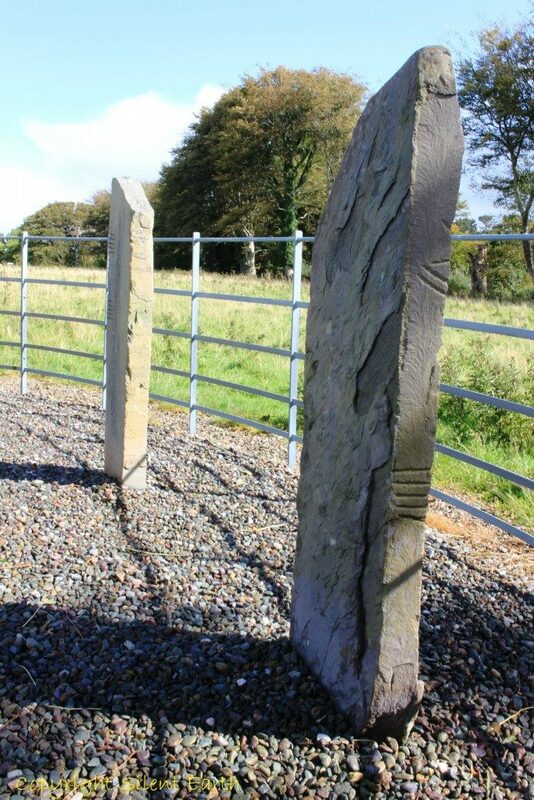 Each of these stones commemorates a deceased person, and they may originally have marked places of burial. 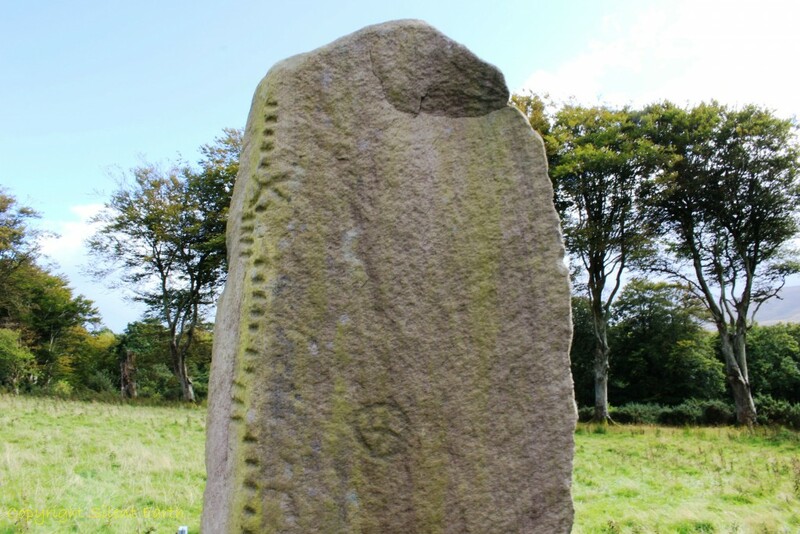 Their inscriptions generally follow the formula ‘A son of B’. 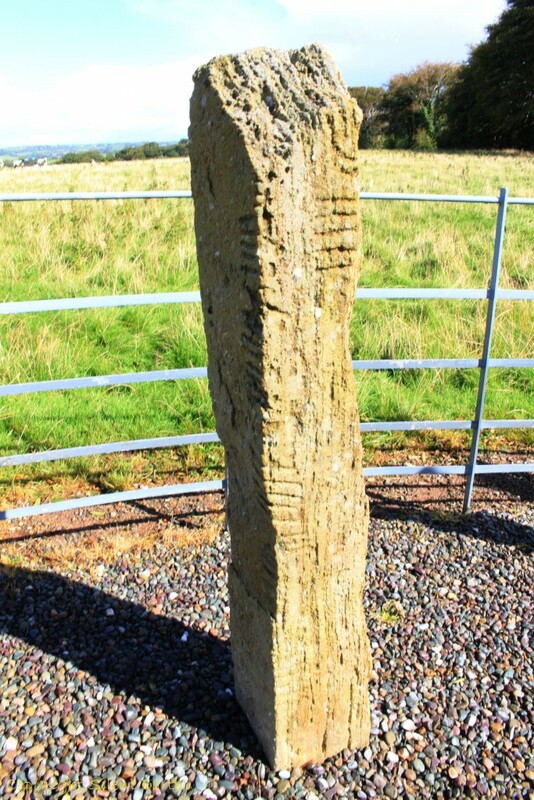 On the ordnance survey map a holy well is marked in the field opposite, but on inquiring with a local gentleman, I was informed that the well is hidden by vegetation and on private land, so unfortunately I did not have time to seek permission to visit and pursue this any further. 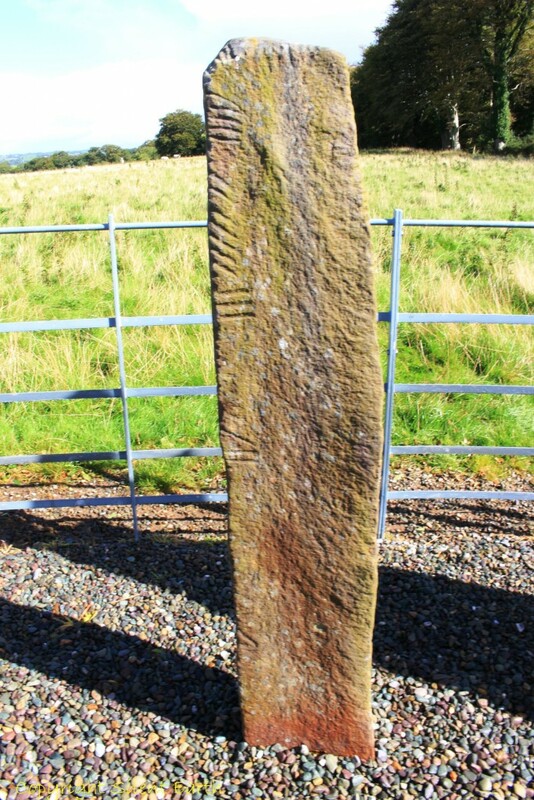 Below: The tallest stone (number 4) has a central break and is supported by a concrete post behind it. 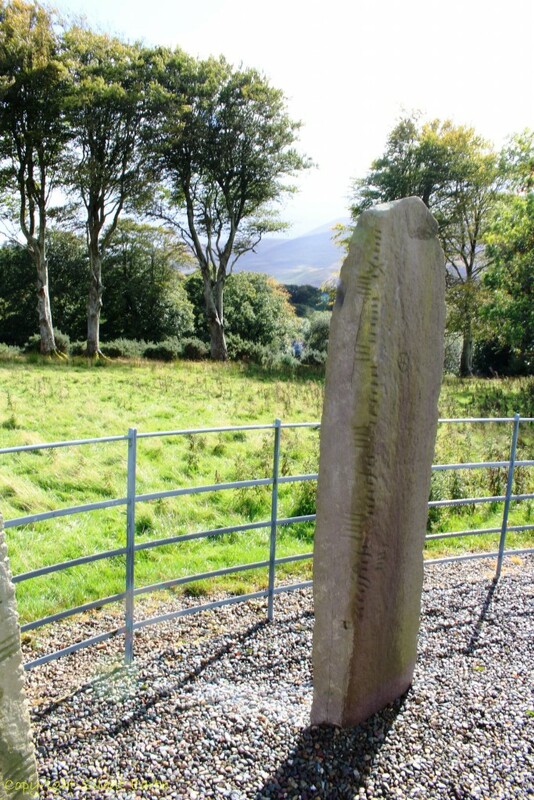 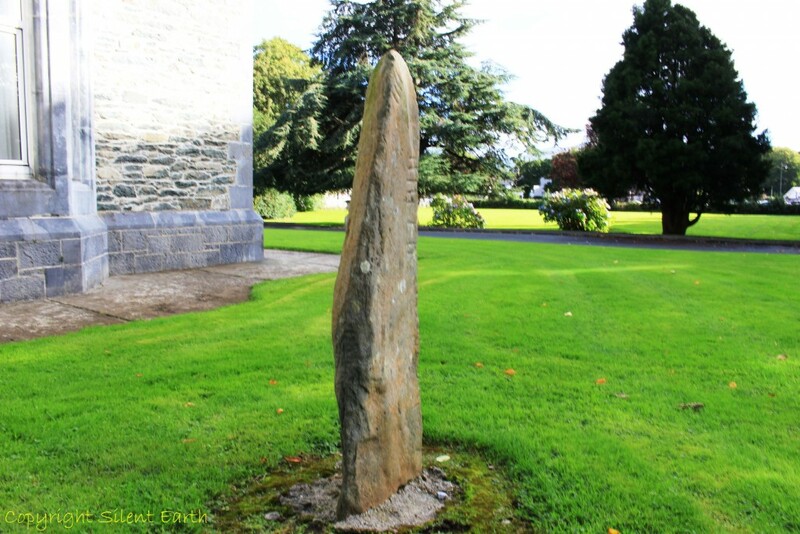 The following day I visited the town of Killarney in Co. Kerry and took the opportunity to pay a visit to the Inch ogham stone in the grounds of St. Mary’s Cathedral, outside the bishop of Kerry’s residence. 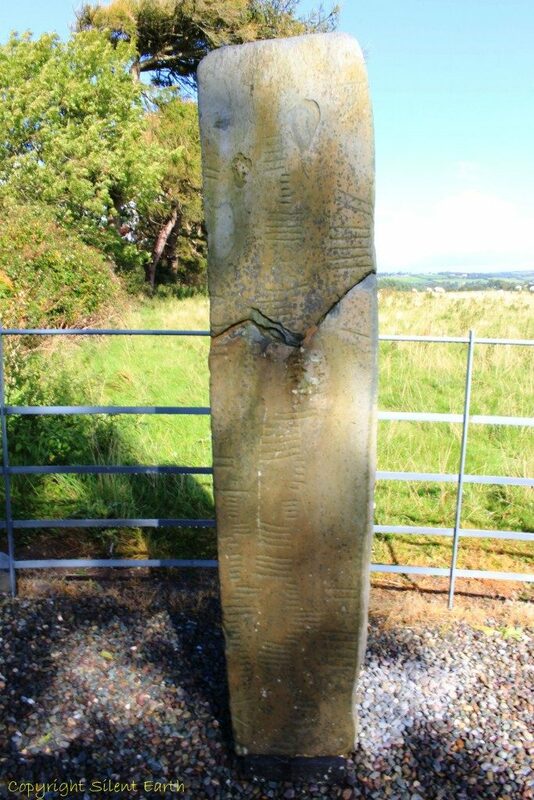 The ogham script and exact location is explained here on Megalithic Monuments of Ireland‘s page, and the Google map location is here. 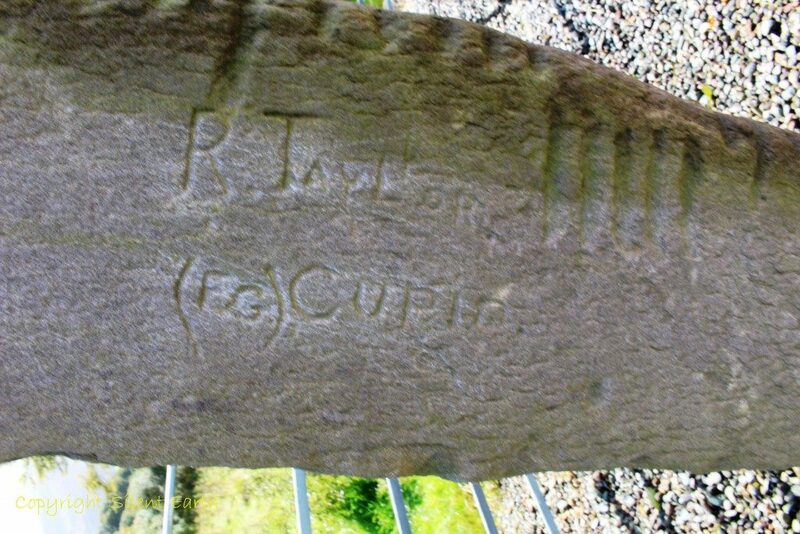 Below: The ‘spear’ shape of the stone can be seen more clearly from this angle.